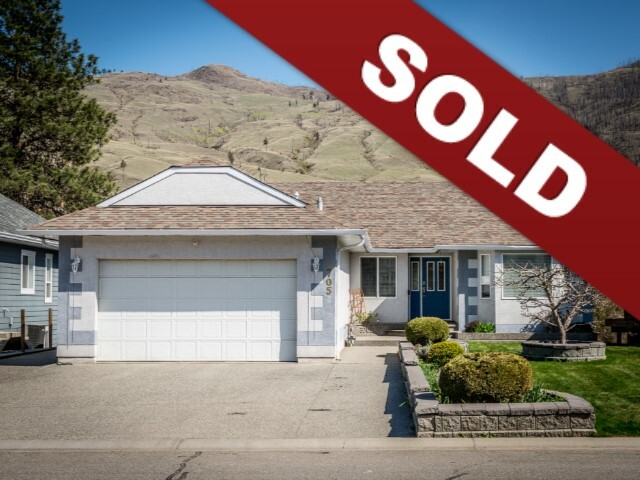 New Listing: 3705 Overlander Drive, Westsyde, Kamloops, BC $664,900. Gorgeous waterfront property with large inground pool (18×26) and a number of updates. The main entry looks through to the back side of the home and view. The main living space is open and bright with all of the living space running along the view side of the home. There is hardwood flooring throughout the living space which was updated in 2010. There are French doors off the living and dining space to the fully covered deck that has stairs to access the yard and pool. This home features 3 bedrooms on the main floor, the master bedroom has a 3 piece ensuite and lots of closet space. There is a 3 piece main bathroom which could be converted to a 4 piece easily. The basement level has a finished media room with built in sound, an open games and rec room overlooking the lower deck and pool as well as two large bedrooms, a 3 piece bathroom and storage. The yard is to die for, with a gorgeous in ground pool installed in 2007. There is a lot of grassy space along with a huge deck and storage shed. The pool has a heat pump and the filter was replaced in 2016. Other updates to this home include: roof 2010, furnace and heat pump 2013, on demand hot water 2011. Day before notice for showings.